For two such old and distinguished metropolitan clubs it would be easy to imagine a long historical rivalry, with ferocious contests on the field punctuated in the fixture list only by breaks for the greater battles fought abroad. Sadly though this is not to be. The first recorded game between the two clubs now vying for London supremacy (sorry Wasps, maybe next year!) does not occur until the 1983/84 season, with Saracens sadly losing the Middlesex Cup game. Why, then, had these clubs not locked horns in the intervening years? I will examine two factors as to why they perhaps didn’t meet in the period prior to World War 1. The first and perhaps most obvious would be travel. The early years of the Harlequins club following their split with Wasps in 1870 saw them being equally as nomadic as Saracens, with 15 grounds in 40 years, before at the invitation of the RFU, settling into a home at Twickenham stadium in 1906. From North London this would have been a not inconsiderable journey, albeit travel was not usually too prohibitive a factor for teams in the era. Saracens are noted as undertaking fixtures against Rugby and away to Brighton in the 1910 season, whilst Quins and other notable London Clubs would often take on Leicester and the leading Welsh sides. One record of an eventful away day trip for Saracens in 1905/06 was to Bedford where club secretary A J Wilson had played that day against the express orders of his wife. 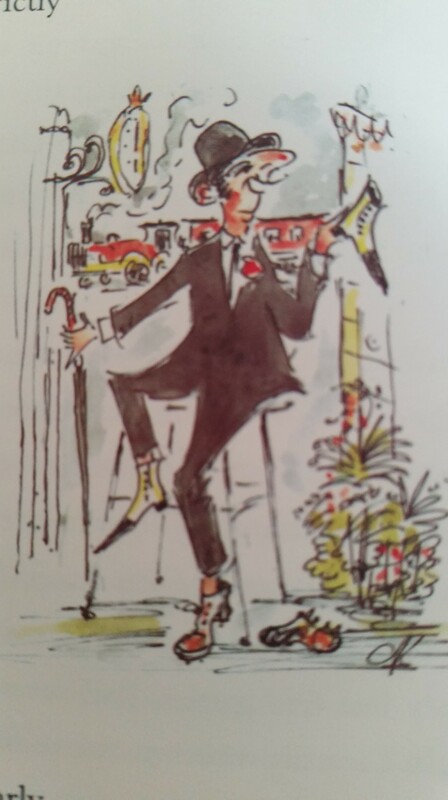 He subsequently lost his formal shoes so had to travel home in his studded boots and was was last seen that day sprinting off down Euston road in an effort to save himself from any awkward questions! The most compelling argument, then, appears to comes then from the gulf in the ‘fashionability’ between the two clubs. The Harlequins in this era can be considered amongst the aristocratic elite of the sport. 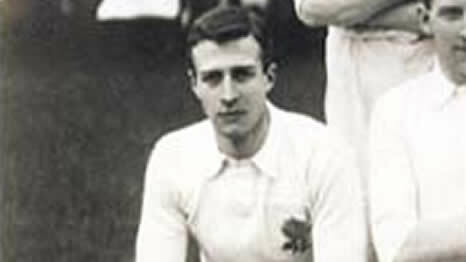 Regularly drawing large crowds to games, they boasted some of the finest international rugby players such as Adrian Stoop, 15 times capped by England and revered as a rugby revolutionary, after whom the current ground is named. Press coverage is a good indicator of this, with the Harlequins often afforded full match reports in papers such as The Sportsmen & The Field, occasionally with illustrations or photographs, with Sarries lucky to get a mention. Saracens had a somewhat less fabled reputation, and simply did not warrant the visit from the larger sides, as even in the days of strict amateurism they offered no box office appeal and would not draw the crowds. Many clubs, and certainly international games, would charge spectators in order to support both their own and sometimes the travel costs of the visiting clubs. Saracens boasted no internationals or otherwise notable players in the era, so could not compete with the likes of Northampton, Leicester or Cardiff. This, in part, led to what appears to be a more middle- and working-class makeup of the club at Saracens. From research so far, the club’s reputation for being inclusive stems back to this pre-war era, which is a theme that will be explored further in future blogs. We hope the battle for London supremacy under the Friday night lights goes well, and as always, we hope the result goes the way of the men in black! Congratulations on the website which is becoming a very interesting resource. I particularly like the contemporary comparisons.